The masterpiece presented by Legendary and Universal Pictures “The Great Wall” is waiting for the release day on the 17th of February 2017. 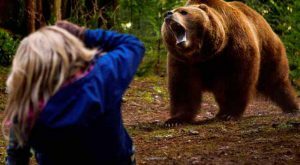 The film will appeal to the fans of thrillers, fantasy, action and adventure movies. The idea belongs to the winner of the “Oscar” award – Edward Zwick, who has worked on the eastern-themed movie “The Last Samurai”. Hollywood producers have rejected the idea due to the high budget. It was decided that the film would be made by the Chinese producers, who had invested 135 million dollars. Zhang Yimou was designated to operate the shooting process. Actually, it’s the first English-language film by Zhang Yimou. The project brought together outstanding filmmakers. The script for the film was written by Tony Gilroy (“The Devil’s Advocate”), who was nominated for “Oscar” twice. Ramin Djawadi, the main composer of “The Game of Thrones” and “Warcraft” was in charge of music accompaniment. The majority of the scenes were filmed in the Celestial Empire, and some episodes were shot in New Zealand. The plot of the film can’t be called typical. It’s a fusion of mythology combined with the elements of science-fiction story and reality, thus creating a unique breathtaking picture. The story takes the viewer 6 centuries back when a military European expedition was sent to China. Their mission was confined to finding the gunpowder. But having arrived in China, the soldiers witness the erecting of the great construction. They get to know that the Chinese emperor made up his mind to build the Great Wall with the purpose to save the Chinese nation from various enemies, who want to invade the territory. But as it turns out, the wall hides some secrets, since behind it, the ancient evil is gradually awakening. It has been gathering its strength for hundreds of years to destroy the territory. So, the heroes are to face with the violent creatures and save the empire as well as their own lives. Matt Damon will perform the lead role. For quite a long time the actor has been refusing from starring in the movie due to his busy schedule. As a result, Damon found spare time for a “The Great Wall” before starting to work on the satirical film “Down”, which will be released in 2017. Pedro Pascal will play the second British soldier, sent to China. The actor is known for his roles of Prince Oberon Martel in “The Game of Thrones” and the DEA agent Javier Pena in “Narco”. Willem Dafoe will embody on the screen the commander of mercenaries. Among his recent works, the best known were “Hotel ‘Grand Budapest'” and “John Wick”. The greater part of the roles in the film are given to the Chinese actors. The main female character will play Jing Tian. Primarily, Bryan Cranston had to join the cast of the film, but his role was given to Willem Dafoe. The picture has already caused resonance at the end of 2016 when it came out in China. 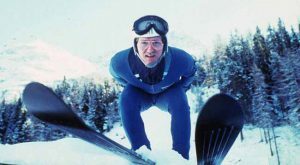 The film has experienced some criticism on account of Matt Damon, the western actor in a Chinese movie. 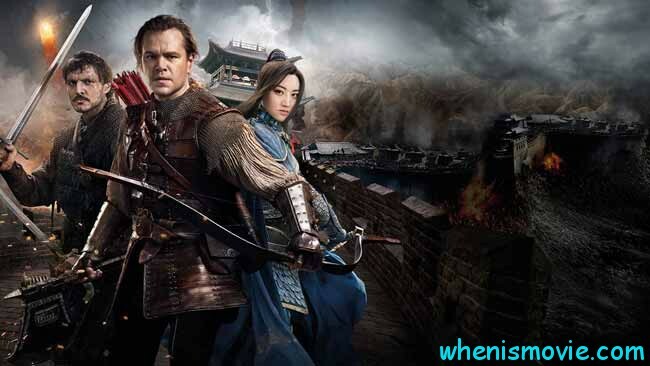 Particularly the Chinese actress Constance Wu publicly expressed her discontent towards the director, who had offered Matt Damon to play leading role, stating that it’s insulting concerning Chinese culture to represent Damon as a mover in the building of the Great Wall, where most of the monuments were made by simple citizens of the Celestial Empire . Damon later claimed that this criticism was unjustified. However, there were people who supported Damon, like Andy Lau, who announced that Matt wouldn’t take all the Chinese glory because in the movie there are a lot of representatives of this country, who are ready to fight for their Motherland. Movie “The Great Wall” trailer makes an excursus into the plot of the film and gives the audience an idea that the movie won’t have a lack of special graphic effects. 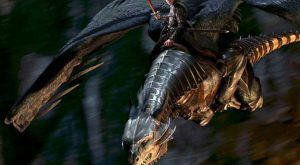 By the way, the effects were carried out by the famous Western studio ILM and Weta. “The Great Wall” reveals the secret of one of the greatest buildings in the whole world. 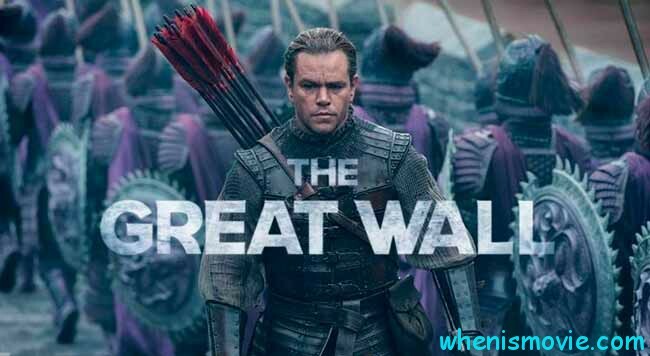 “The Great Wall” is the most big-budget movie of Chinese production, implying a lot of terrific episodes and special effects with Hollywood stars playing the lead roles. The movie is coming in 3D/2D theaters, and it’s available for viewers beginning at the age of 12.